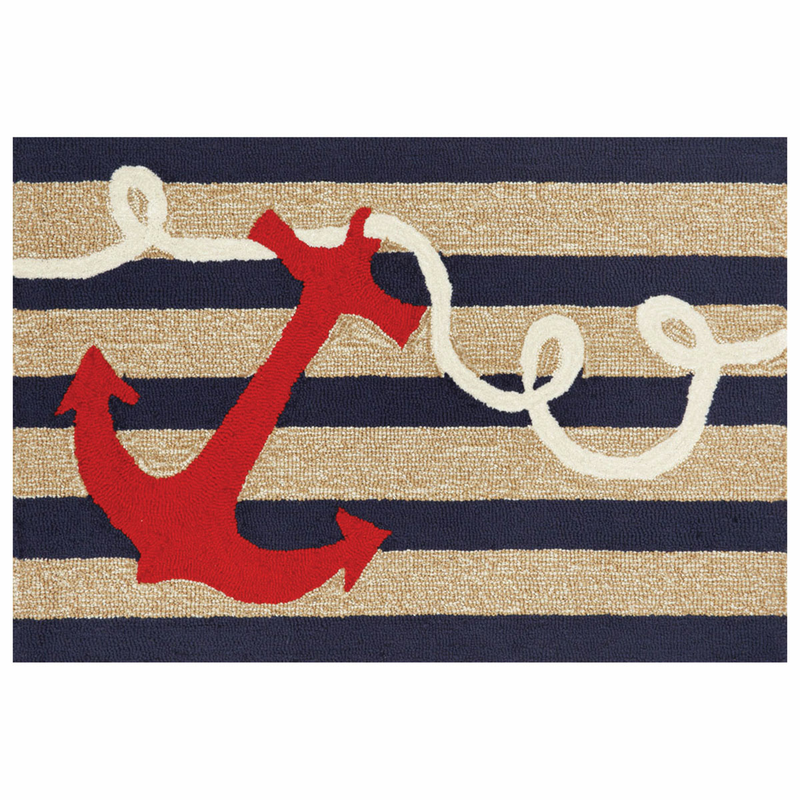 Bold red anchor on navy stripes in hand tufted 80% acrylic/20% polyester. Indoor/outdoor. 5'W x 7'6"L. Ships from the manufacturer. Allow 1 week. Cannot express ship.